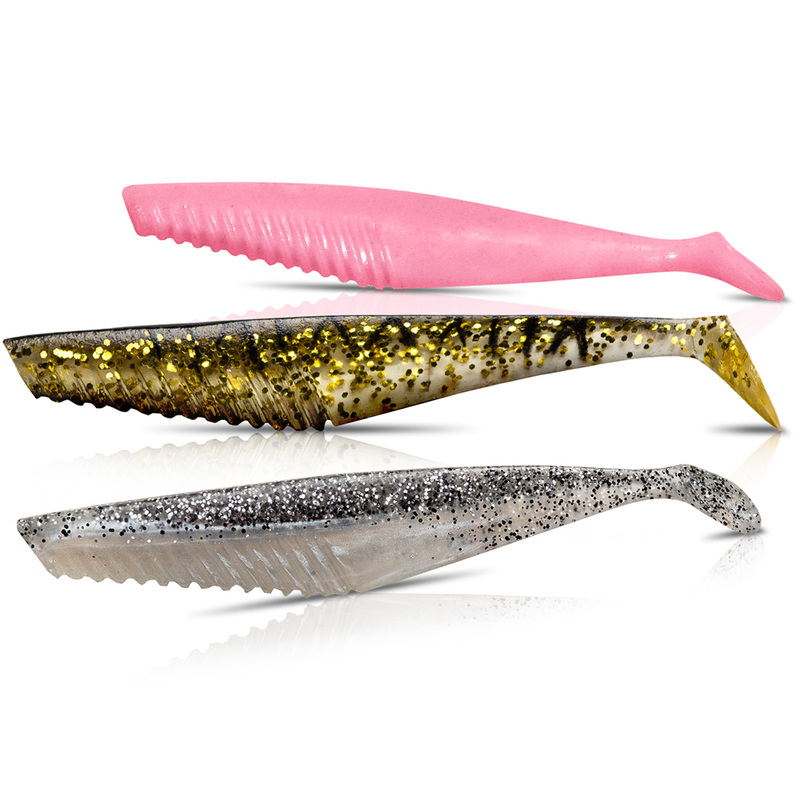 The Squidgies Whip Bait really pushes predators' buttons, making it an outstanding big fish catcher in all its sizes. Combining the key attributes of our deadly Flick Baits with the timeproven, pulsating tail beat of a Fish or Shad, the Whip Bait is an incredibly versatile offering in both salt and fresh water. 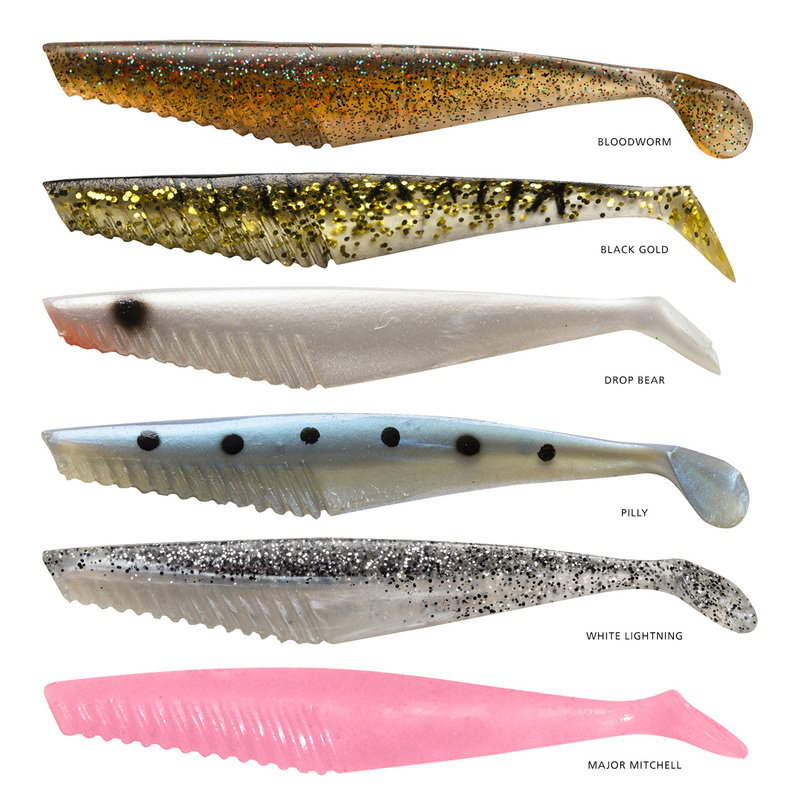 As its name implies, this cunning new Squidgy can be worked aggressively with strong rod tip whips to make it dart, flash and shimmy, lifted and dropped in a more conventional manner, or simply finessed with a slow, steady retrieve that most fish find impossible to resist, even when they're shut down, sulky and not in the mood to eat anything else. The Whip Bait... Remember that name, because this killer Squidgy is set to become synonymous with successful soft plastic fishing!